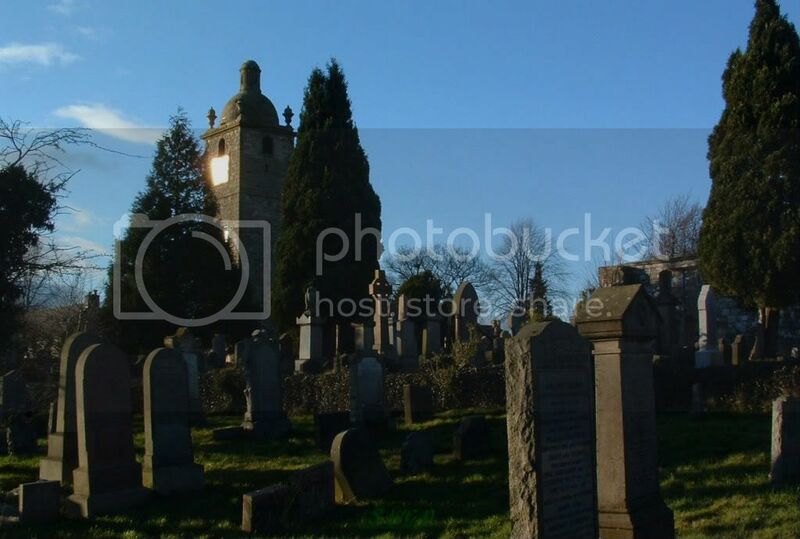 Erected in the 1730's, the Steeple in the graveyard at St. Ninians Old Parish Church is all that remains of the old church. While Stirling Castle was under attack during the Jacobite rebellion, the original church was used as a powder magazine and was widely believed to have been blown up by the retreating Jacobite army in 1746. An account kept in Stirling Council Archives, suggests that the Jacobites enlisted local help to remove the gunpowder. Some of the locals took the opportunity to help themselves... "filling their pockets and hiding parcels of powder under most of the seats of the church." A guard who saw what was happening, fired a warning shot, ignited the powder and blew up the church along with several people. 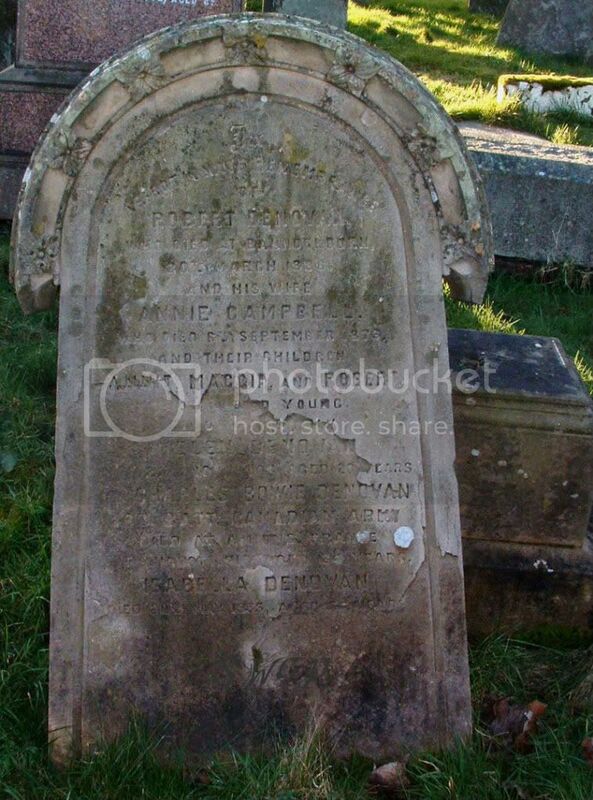 Additional information:	Husband of Mrs. Burns*, of St. Ninians. 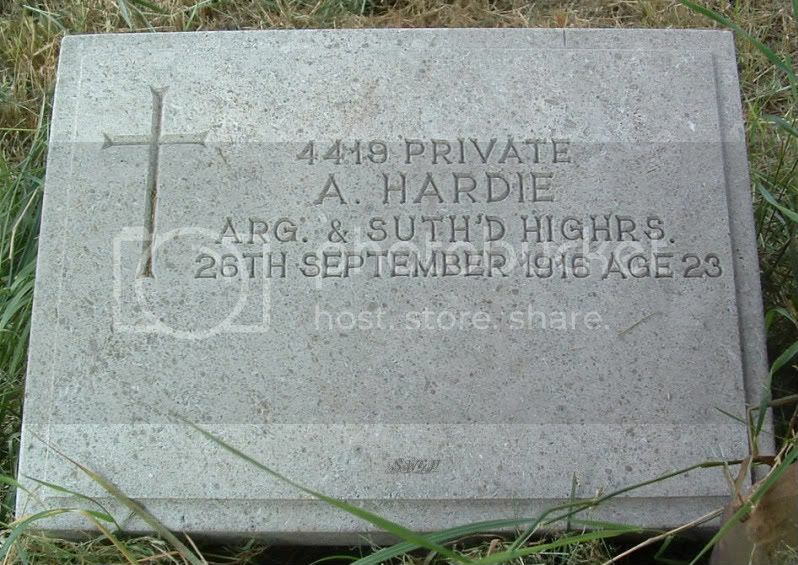 Additional information:	Son of Mr. A. Hardie, of Stein Square, Bannockburn. Unit Text:	283rd M.T. Coy. 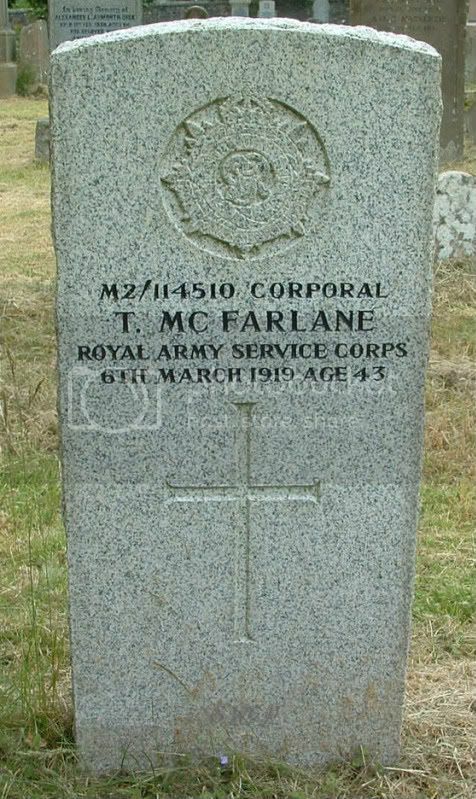 Additional information:	Son of the late John McFarlane; husband of Sarah Emma McFarlane, of 8, Rothes Rd., Dorking, Surrey. 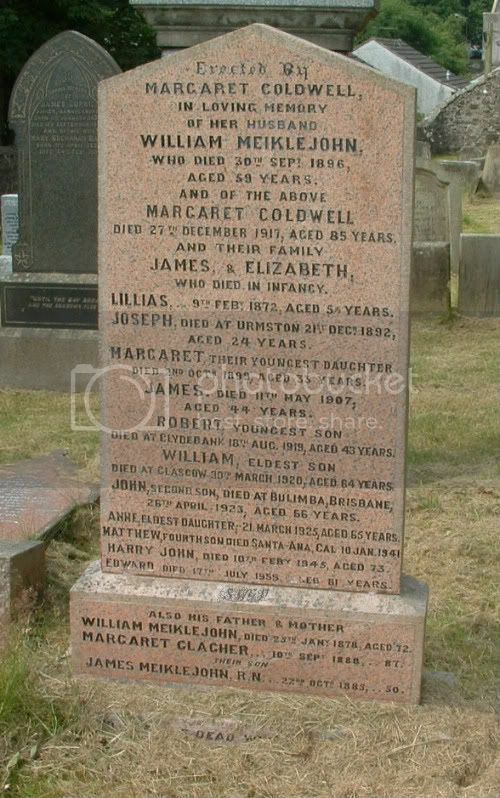 Born at Whins of Milton, Stirling. 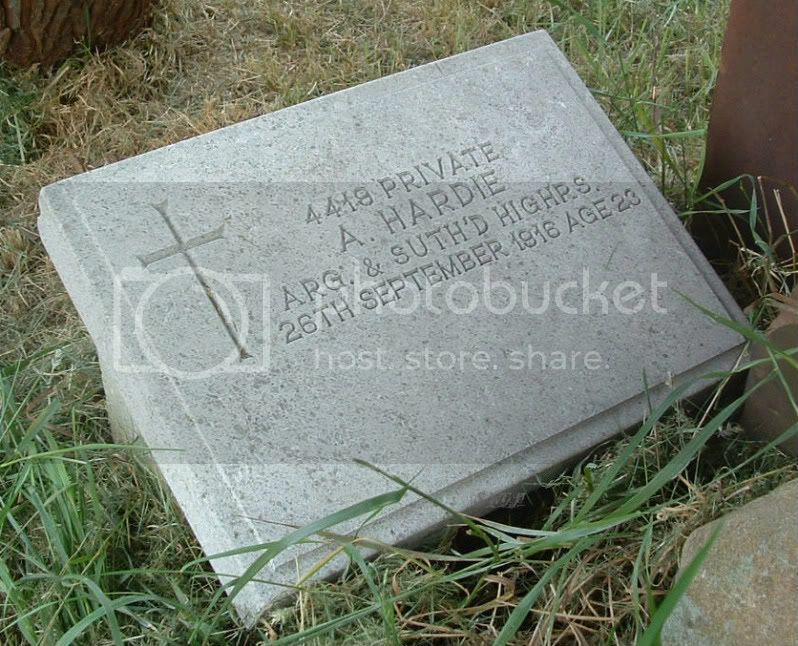 Grave/Memorial Reference:	Old ground. 410. 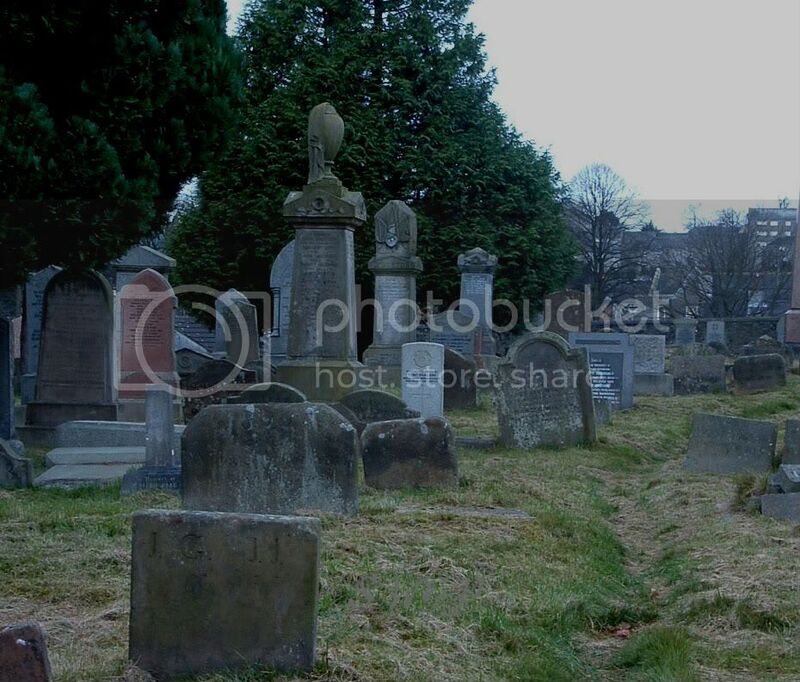 Additional information: Son of Mrs. Margaret Denovan, of 5, Academy Place, Bannockburn, Stirlingshire, Scotland. Grave/Memorial Reference:	I. K. 10. Unit Text:	196th Land Drainage Coy. 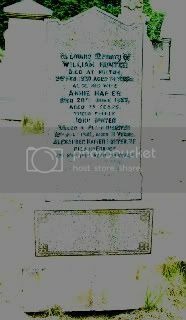 Additional information:	Son of William and Annie Hunter (nee Napier), Whins of Milton, Stirlingshire. Grave/Memorial Reference:	XI. A. 44. Don't know what happened to the first photo!! (Must have been in too big a hurry that day). At least I'll have a rough idea what to look for when I go back. 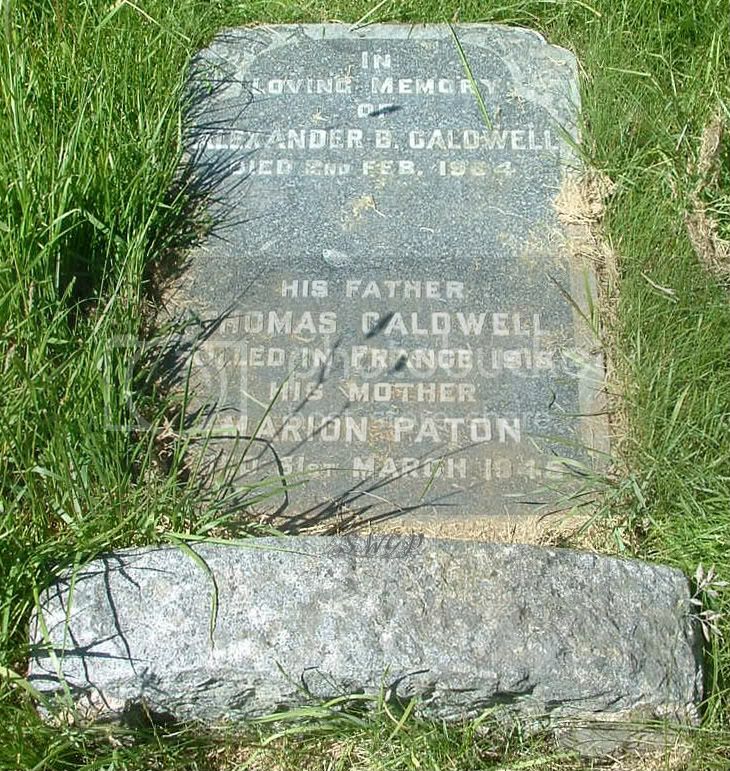 JAMES MEIKLEJOHN, R.N., died 22nd October 1885 aged 50.